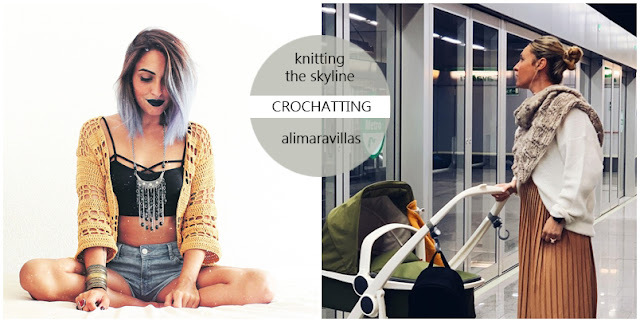 De Estraperlo: Knitting the Skyline entrevista a... Ali Maravillas! Hello! I’m Alimaravillas, Ali to my friends. I am passionate about Lifestyle trends and I'm absolutely crazy about designing all kind of things in crochet. I love spending the day creating and getting surprised by what my hands can make. My designs have a very fresh style, inspired by the nordic style; however sometimes my imagination flies and amazes me with wonderful designs with a ‘boho’ feel. At the moment, I work as headmistress in a gorgeous Early Years School in the middle of the mountain range of Huelva; a beautiful landscape to get lost and to prove that playing is learning and learning is playing. It makes me extremely happy to be able to balance my career with my other passion, the crochet design. 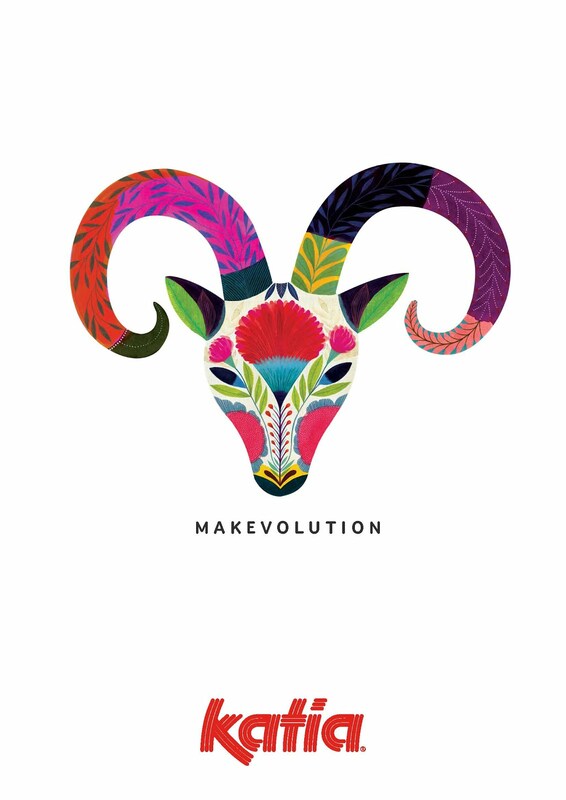 From the comfort of my home to the beat of wonderful songs, or accompanied by tv shows that make me fall in love, I create the most amazing designs that you can find in my online shop or through collaborations with some of the most important brands in the field. I love beach houses, more than beaches. I’m crazy about learning a million new things. Maths have always been a passion of mine. And since #conidarko came to my life, my loyal ‘big furry ears’ friend, I am as happy as a clam. AH! 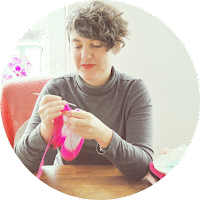 I also am a dangerous ‘yarnbomber’, Sometimes I tell you all about my adventures on Instagram, and sometimes I keep it to myself and the Mad Hatter. Hola! 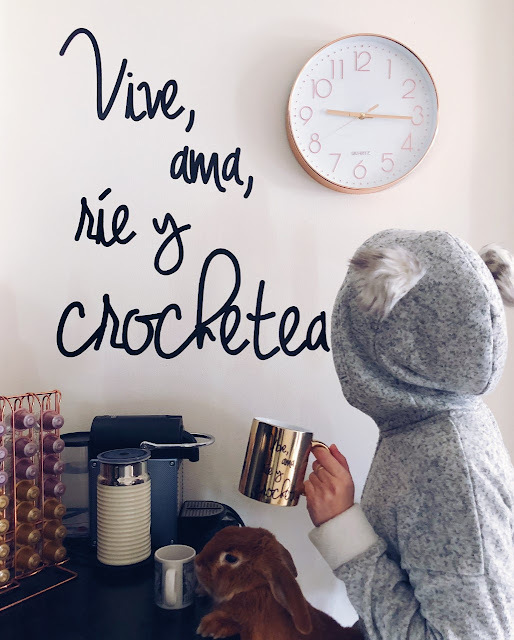 Soy @alimaravillas, Ali para los amig@s. Soy una apasionada de las tendencias LifeStyle y mi perdición es diseñar todo tipo de productos en crochet. Me encanta pasarme el día creando y dejarme sorprender por lo que mis manos pueden llegar a hacer. Mis diseños tienen un estilo muy fresco, inspirados en la simpleza del movimiento nórdico. Aunque, a veces, me da por dejar volar mi imaginación y descubro auténticas maravillas de corte “boho” en mi mente. En la actualidad trabajo como directora de una preciosa Escuela Infantil en la serranía de Huelva. Un paraje precioso dónde perderse y comprobar que aprender es jugar y jugar es aprender. Me hace muy feliz compaginar mi amada profesión con mi segunda pasión, el crochet. Desde la tranquilidad de mi casa y al compás de bellas canciones o acompañada de series que me enamoren, creo unos patrones de infarto que podrás encontrar en mi tienda o en forma de colaboración con las marcas más importantes del sector. Amo las casas de playa, más que las playas. Me pirra aprender una y mil cosas. Las matemáticas siempre han sido mi devoción. Y desde que tengo en mi vida a #ConiDarko, mi fiel compañero de orejas grandes, soy más feliz que una perdiz. ¡Ahhhhh! Soy una yarnbomber de mucho cuidado. A veces, te cuento mis peripecias en instagram. Pero otras veces me guardo mis aventuras para mí y el sombrerero loco. Todo esto y mucho más suelo contártelo en @alimaravillas o en el blog de mi web www.alimaravillas.es ¿Te apuntas a pasarlo bien y disfrutar de los pequeños detalles? 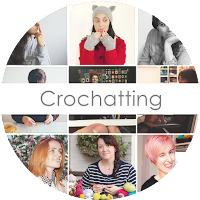 "Porque aquí, estamos tod@s loc@s aquí"
Let’s start with a must question in an interview, how did you start with crochet and who taught you? I remember seeing my mum knitting when I was little, and it was something that really took on her nerves, hahaha! I don’t think she was using it as a way of disconnecting as I do now. She taught my sister, she is the one with all the patience at the time. I was a very fidgety child and I liked other kind of things. I liked jumping around and concentrating in my Taekwondo movements, or just amusing myself with stories that I created in my mind, imagining that I was the best fashion designer of the world, and believe me, in my head, I was the best! 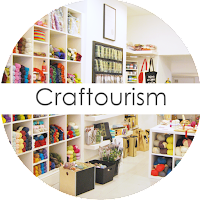 Years later and already living in Sevilla, after spending my childhood and teenage years in Alcala de Henares, out of the blue I bought a skein of yarn and a crochet hook from a convenience store. It lasted an afternoon, what a pain, dude! If I had trouble using my fingers to tease my friends ( there was a popular game among teenagers to trick people using your hands) there was no way I could master the needles to knit! However, making and creating things always were ‘my thing’. When I was little, and the library bus came to my neighbourhood on thursdays, you could find me at the DIY section, I loved it. 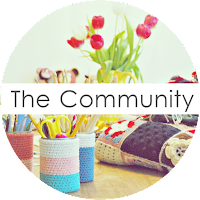 With the arrival of the blog world, I spent hours checking out post about DIY and that’s how, when I was 27 years old, living with my partner in a ‘mansion’ that we shared with other friends, also lovers of the DIY and working in Ikea, I felt like giving crochet another go. This time I had the wisdom of and adult with infinite knowledge in pedagogy, so I knew that to achieve my purpose I had to start from the beginning and not try to run before walking. I bought a Clover crochet hook and two skeins of cotton Natura by DMC in a shop of cult in Sevilla, called Devanalana. I spent hours making chains, double crochets and trebles, that I learnt following Youtube videos. After searching a lot, I found who knew how to teach me properly, Tejiendo Peru. I also needed books, lots of books, and that’s how all started. Crocheting on a mattress piled up on a pallet, three wooden shelves as a wardrobe, lots of tv shows and a bunny robe; all with a lot of love from Albert, always supporting my adventure. Such a wonderful time! Thanks for making me remember it! Vamos a tirar de un "must" de las entrevistas, ¿cómo empezaste en el ganchilo y quien te enseñó? Mis principios con el ganchillo no son nada idílicos. Son una mezcla de admiración y tesón. Pero como con una sola frase no me gustaría responderte, prefiero sumergirme en mi memoria. Recuerdo ver a mi madre tejiendo con dos agujas cuando era pequeña, era algo que realmente le ponía de los nervios, jaja. No creo yo que lo utilizase a modo de desconexión como me pasa a mí. Ella enseñó a mi hermana, que es la que tenía la paciencia suficiente en aquellos momentos. Yo simplemente era un torbellino al que le apasionaban otro tipo de entretenimientos. Era más de saltar por todas partes y solo concentrarme en mis pumses de Tae Kwon Do o recrearme en mis mil y una historias mentales. Me gustaba más el rollo de creerme diseñadora de moda ¡Os juro que en mi imaginación era la mejor! Con los años y ya viviendo en Sevilla, pues mi infancia y adolescencia las pasé en Alcalá de Henares, se me ocurrió un día comprarme un ovillo y una aguja de crochet en el chino. Duré una tarde ¡Qué suplicio, chaval! Si no era capaz de juntar los dedos de la mano para hacerle “queos” a mis amig@s, mucho menos iba a saber yo dominar una aguja para hacer tejidos. Sin embargo, el hacer, el crear cosas siempre se me había dado bien. Cuando era muy pequeña, y el bibliobús llegaba los jueves a mi barrio, siempre podías encontrarme en la sección de manualidades, me apasionaban. Con la llegada de los blogs, me pasaba el día leyendo y bicheando post de diy y así fue como con unos veinte siete años y viviendo con mi pareja en una mansión que compartíamos con varios amig@s que trabajaban en Ikea, y que eran otros apasionados del "hazlo tú mismo", se me apeteció de nuevo volver a intentar crochetear. Esta vez tenía la sabiduría de una adulta con infinitos conocimientos pedagógicos y sabía que para conseguir mi propósito debía empezar desde el principio y no pasar al segundo peldaño hasta haber dominado el primero. Empecé comprando una aguja Clover y dos ovillos de natura de dmc en devanalana, una mítica tienda taller del centro de Sevilla. Me pasé horas perfeccionando mi cadeneta, mi punto bajo y mi punto alto. Los había aprendido gracias a unos vídeos que había encontrado en Youtube. Después de mucho buscar, la persona que sabía mostrarme el conocimiento como yo realmente necesitaba era “Tejiendo Perú”, la madre de todas. Al poco tiempo comprendí que necesitaba libros, muchos libros. Y así fue como todo empezó. Tejiendo en mi colchón encima de unos palets, con tres estanterías de madera que hacían de nuestro armario, muchas series, una bata de conejo (qué fuerte) y mucho amor de Albert apoyando mi nueva andadura. ¡¡Qué tiempos más bonitos!! Gracias por hacerme recordar. 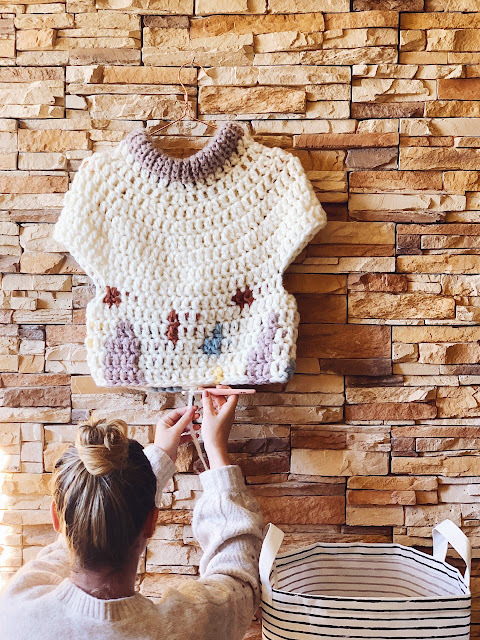 You are an icon in the crochet design in Spain, how is your creation process? I alternate different processes as they come. I am a methodical anarchist, in a way. Sometimes my inspiration comes from my constant need of observing everything; from a girl that walks past me and has something special to her, from a product that I saw and captivated me or from a necessity that I am unable to fulfil. When this happens, I pick up my needles and let the project speak to me while I create it. This is usually my creation process...I could say that almost all my creation process are like this. I am able to make a perfect design at the first try; if the project goes wrong, it usually ends up in a drawer waiting for me to rescue it again later. I am not one for tests, I have never been, when I was a student I read my notes once, twice would make me sick, however I like testing my patterns once they are already done, and the test has to go smoothly and perfectly, before that is just pure maths. I don’t like getting inspiration from other designers, and if I do it I don’t share the pattern, I keep it to myself, to honour the original designer with a photo on Instagram. That’s why I would say that I don’t have many inspirational sources from the knitting and crocheting world when I create patterns. Sometimes inspiration comes from my other passions, my desires and my hobbies. I love the Lifestyle trend, the urban feel at the same time as the countryside feel, the graffiti art and art in general. I am very fond of the Baroque style, the minimalism and the writing world. I like the Boho style and the Nordic Style. To sum it up, I don’t close doors to anything and I love dipping into what I look for. From all that, some of my creations are born. I mix them, I expose them and I merge them to see what comes out of it, and always comes out something! Eres un referente en el diseño de ganchillo Español, ¿cuál es tu proceso de creación? Según me dé el viento utilizo una serie de procesos u otros. Se podría decir que soy una metódica antimétodos. A veces mi inspiración nace de algo que no puedo parar de observar. De una chica que pasa a mi lado y tiene un aura especial, de un producto que vi y me enamoró, de una necesidad que no soy capaz de satisfacer. Cuando esto pasa, suelo coger mis agujas y dejar que el proyecto me vaya hablando a medida que lo voy creando. Esta suele ser la mayoría de las veces…. Y te podría decir que hasta todas jajaj Suelo ser capaz de clavarla a la primera y si no es así, ese proyecto suele irse a un cajón desastre al que acudiré en cualquier momento para retomarlo siendo la primera vez que lo haya tejido siempre. No soy de hacer varias pruebas. Nunca lo he sido. En mi faceta de estudiante solo me leo los apuntes una vez, dos me daría urticaria. Sin embargo, el testeo del patrón escrito ya es otro cantar. Ese tiene que ir como los chorros del oro. Lo otro son simples matemáticas. No me gusta inspirarme en los proyectos de otr@s diseñadores/as y cuando lo hago no comparto el patrón, me lo quedo para alabar a aquell@s que me inspiraron con una foto de instagram. Por esa razón no puedo decirte que tenga muchas fuentes de inspiración en cuanto al mundo tejeril cuando creo patrones. Otras veces, mi inspiración nace de mis pasiones, mis deseos y mis aficiones. Soy una enamorada del Life Style, de lo urbano a la par que del campo, del graffiti y del arte. Soy una fan del barroco, del minimalismo y de las letras. Me gusta lo boho y lo nórdico. En definitiva, no le hago ascos a nada y me encanta zambullirme en aquello que anhelo. De ahí nacen algunas veces mis procesos creativos. Los junto, los expongo y los fusiono. A ver qué sale. Y siempre sale algo. 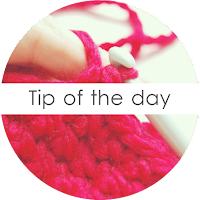 How has your daily life changed since you started in the knitting/crocheting world until now? I love that you ask me that! I am sure that if you ask the same question to the rest of my dear friends in the sector, they’d say that they are becoming more professional. 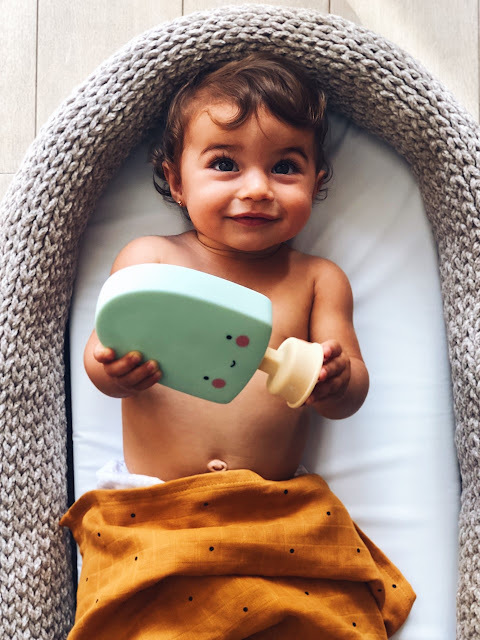 Right now, I am taking a break; I am enjoying a relaxing time with a newborn baby and my Conito and I am really having a blast. Why? Because it has made me stop and reflect on it, I feel the necessity to continue in the way I started. Designing patterns started as a way to pay for my passion, the yarn bombing; and I am looking forward to continuing expressing myself. So right now, I am doing that, reflecting, imagining without creating, letting others love me, mulling my project over and waiting to hatch in the future. ¿Cómo ha cambiado tu día a día desde que empezaste hasta ahora en el mundo tejeril? Me encanta que me hagas esa pregunta jajajaj Seguro que si en estos momentos le preguntas lo mismo a cualquiera de mis compis del amor te dirán que van a más profesionalmente. Yo ahora mismo, sin embargo, estoy en un break. Me estoy pegando un tiempo de relax with my baby and my Conito y me mola el rollo. ¿Qué por qué? Porque me ha hecho reflexionar y volver a sentir la necesidad de seguir por dónde empecé. 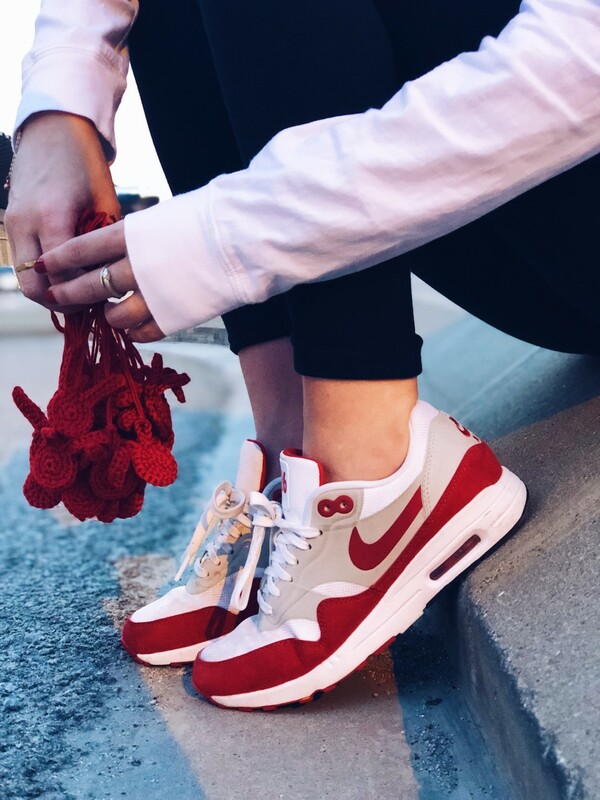 El crear patrones nació solo como una forma de subvencionar mi pasión, el yarnbombing. Y tengo ganas de seguir expresándome. Así que ahora mismo estoy en un momento de reflexión, de imaginar sin crear, de dejarme querer, de madurar mi proyecto y de futuramente eclosionar. ¿Tú me vas a acompañar? 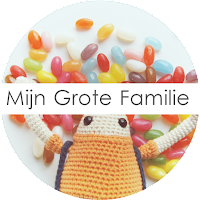 Are your professional career as a teacher and your crocheting career linked in a way? Do you transfer your knowledge from one to the other, or do you keep them apart? They are absolutely linked! I think I have been answering your question from the beginning of the interview. From when I started learning the crochet art, to when I plan one of my very few workshops, without forgetting all the captions that go together with my photos, I am always using the knowledge that I acquire as a teacher. When you are a teacher, you can be many things. You can pretend to be whatever you like. You can believe that you are a Crocheter Instagrammer. Sometimes, if your students let you, you can set up a yarn project to dream while you are awake. Tu carrera profesional (maestra) y tu carrera tejeril están ligadas de alguna forma? ¿Aplicas conocimientos de la una a la otra, o las mantienes separadas? ¡¡De todas las formas!! Creo que ya te vengo respondiendo a esta pregunta desde el principio. Desde cuando decidí aprender este arte, hasta cuando planteo uno de mis escasos talleres, pasando por cada uno de los post que acompañan a mis imágenes. Siempre estoy utilizando todos los conocimientos y habilidades que he adquirido en mi profesión como maestra. Cuando eres maestra puedes ser muchas cosas. Puedes jugar a ser lo que te dé la gana. 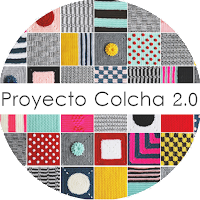 Puedes hasta creerte una Crochetera Instagramera. Y a veces, si tus alumn@s te dejan, puedes montarte un proyecto de lanas que te hagan soñar despierto. How do you see ‘Alimaravillas’ in two years? Any surprises that you can reveal? I honestly have no idea. I don’t know where the wind will take me, I know where I want to go, but sometimes winds can change and sometimes drive people crazy. I know I don’t want to go crazy, for that I already have my Mad Hatter. I definitely know that I will doing whatever I fancy, with background music, well done coffees, my Lucas and my Conito running around, my yarn observing me and my street projects. Ups, I let it slip! ¿Cómo ves a "Alimaravillas" de aquí a dos años? ¿Alguna sorpresa de la que nos puedas desvelar algo? Realmente no lo sé. No sé dónde me llevará el viento. Sé dónde a mí me gustaría que me llevará. Pero el viento es muy traicionero y, en ocasiones, vuelve locas a las personas. Lo que sí sé es que yo no quiero volverme loca, para eso ya tengo al sombrero. Pero si algo sé es que seguramente estaré haciendo lo que me apetezca. Con mi música de fondo, mis cafés bien servidos, mi Lucas y mi Conito correteando a mi alrededor, mis lanas observándome y mis proyectos besando las calles. ¡¡Uy, al final se me escapó! !